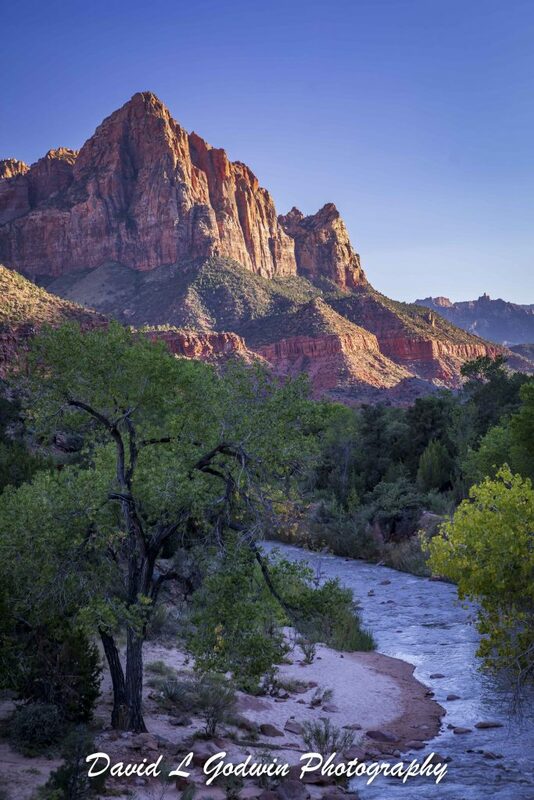 This is a very ionic shot for Zion National Park. The large rock cliff in the background is called the Watchman and the Virgin river runs along the valley floor. The location of this photograph was along a bridge that crosses over the Virgin River. I was there right around sunset and the photograph captures the light from the setting sun hitting the Watchman. Hope you enjoy this additional image ! The next 2 images I will post will come from the North Rim of the Grand Canyon !